I went through my Halloween photos tonight, and three looked good and summarize our Halloween experience. First, we really didn’t get into the Halloween spirit this year. The past two years, we had fun adventures to nearby pumpkin patches. This year, the kids went to a pumpkin patch… in St. Louis. (Molly & I ate croissants instead.) 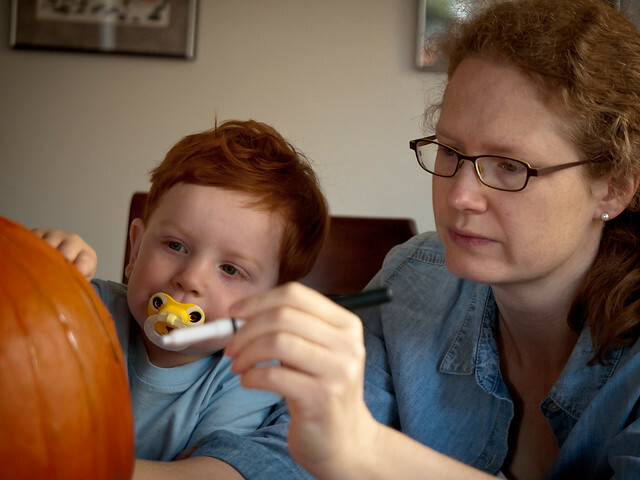 Sunday morning, we realized: We don’t have a pumpkin! 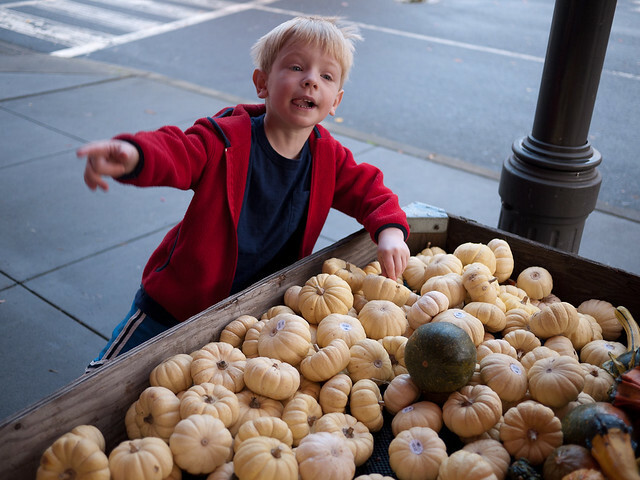 So off to QFC, which thankfully had a few pumpkins left. Alex liked looking at the “ghost pumpkins” more than he did the large orange ones. 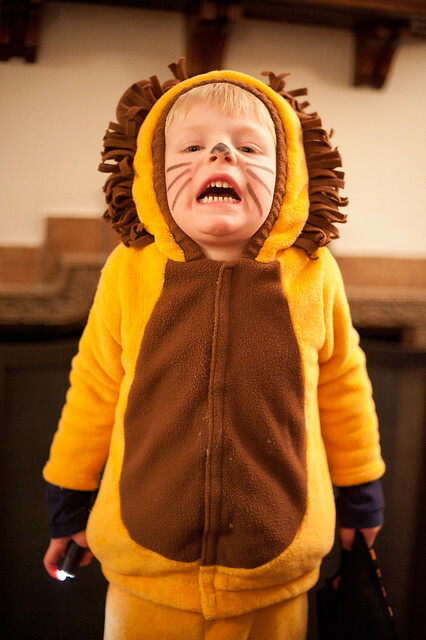 Patrick, however, refused to put on his costume (just like Alex at one year old) and stayed home instead of trick-or-treating. Something tells me that won’t happen again next year!